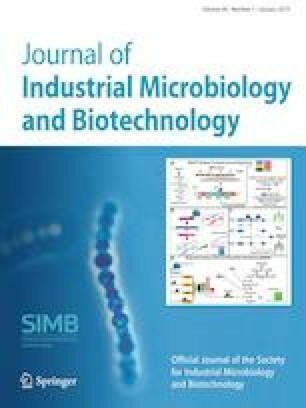 Microbial consortia, with the merits of strong stability, robustness, and multi-function, played critical roles in human health, bioenergy, and food manufacture, etc. On the basis of ‘build a consortium to understand it’, a novel microbial consortium consisted of Gluconobacter oxydans, Ketogulonicigenium vulgare and Bacillus endophyticus was reconstructed to produce 2-keto-l-gulonic acid (2-KGA), the precursor of vitamin C. With this synthetic consortium, 73.7 g/L 2-KGA was obtained within 30 h, which is comparable to the conventional industrial method. A combined time-series proteomic and metabolomic analysis of the fermentation process was conducted to further investigate the cell–cell interaction. The results suggested that the existence of B. endophyticus and G. oxydans together promoted the growth of K. vulgare by supplying additional nutrients, and promoted the 2-KGA production by supplying more substrate. Meanwhile, the growth of B. endophyticus and G. oxydans was compromised from the competition of the nutrients by K. vulgare, enabling the efficient production of 2-KGA. This study provides valuable guidance for further study of synthetic microbial consortia. Qian Ma and Yan-Hui Bi contributed equally to this work. This work was funded by the Ministry of Science and Technology of China (“973″ Program: 2014CB745100), the National Natural Science Foundation of China (21676190, 21621004), Innovative Talents and Platform Program of Tianjin (16PTGCCX00140, 16PTSYJC00050). QM and YHB are co-first authors of this work; QM, YHB, MZD and YJY designed the project and drafted the manuscript; QM, YHB, EXW, BBZ, XTD, BQ, and MZD performed the experiments; QM, EXW and MZD did the omics analysis; MZD and YJY supervised the whole research and revised the manuscript. All authors read and approved the final version of manuscript.